hence the name TENtik. Ever since then it has been from one hot joint to another. Before the end of 2010, he completed his first mixtape titled “OneTenTh” and in 2011 he did a sequel mixtape “The 2nd CUMing”. Both tapes didn’t really get buzz since he self-released them as an independent artist. But they did get him respect from the streets and a lil fan base. 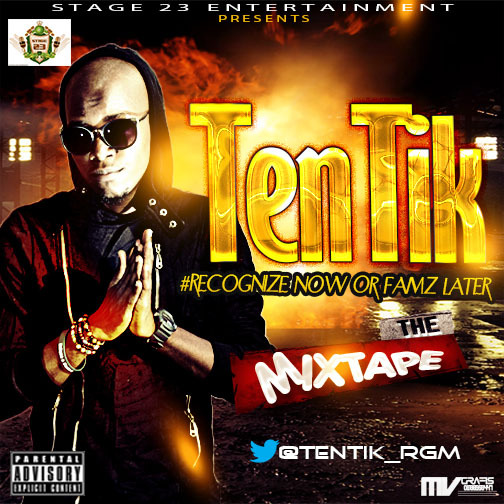 TenTik is now signed to Stage23 entertainment and about to drop his first official mixtape titled “Recognize Now or Famz Later”. He is currently working on his debut studio album. TenTik is up next! So y’all better Recognize him now, or Famz later.